This is a fun little way to spend ten minutes if you are ever in the area near the top of the Santa Monica Pier. You probably recognize the structure but few people know what it really is. The large sign is attached to the outside wall of the senior citizen center with the best view in the world. If I ever take up shuffle board, this will be the place I choose. My dad lived in Santa Monica for many years and we used to watch the leaves in this part of the park spin like helicopter blades as they fell from the trees. They still do sometimes and the view is spectacular. If the center is open you can swap your I.D. for a key to the Camera Obscura. The camera is actually a piece of Jurassic technology also know as a periscope which projects an image from the outside of the building onto a large white disc in the middle of a verydark room. They need to do some tree trimming outside but you can still see in most directions and it is working great. 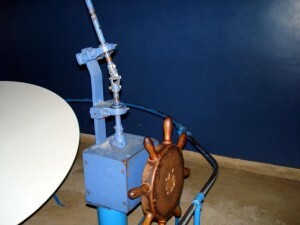 There is a small ship’s wheel you turn to rotate the turret on the roof to change what you are viewing. To focus you lift and lower the disc which is on a swivel. My camera can’t catch the image on the board and the room is so dark I never saw what it really looked like until I took these pictures with a flash. After letting the kids spin the wheel we swapped the key for my ID and headed south about 50 yards to the cannon. 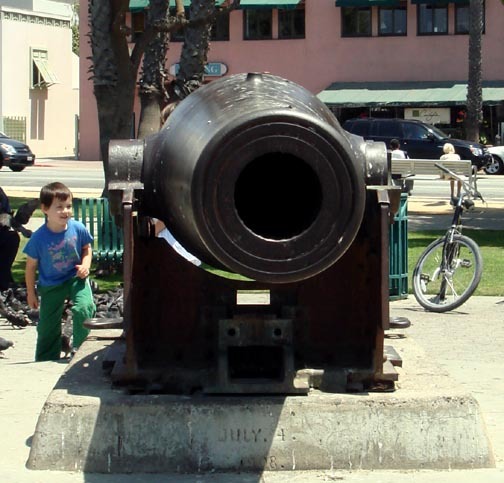 According to Internet research it is a Rodman Coastal Gun designed to have no recoil. It was most likely made in 1861 and then later changed from smooth bore to having rifling which makes it more accurate. While it is nice to think it was used for blasting enemy ships, it was actually transferred from San Francisco and dedicated on July 4, 1908. I wonder if when it was working properly, if it’s rounds could even reach the ocean. Doing the research was great fun. Santa Monica has an interesting history. 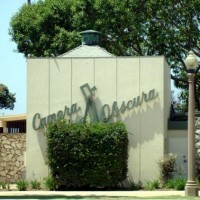 Not far at all from the Camera Obscura is a Visitor Center which has free historical maps. The Camera is usually available from 9AM-2PM Monday – Friday and 11AM-4PM on Saturdays.